Its writing name on rice keychains for your name on rice grains. 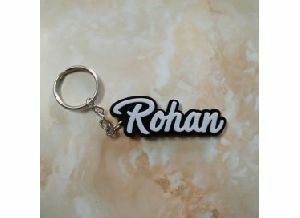 Get this acrylic personalised name keychain in black background and white font. 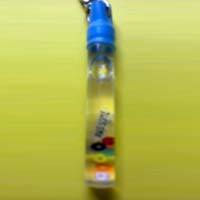 This key chain is made up of non-breakable acrylic and comes with great finishing. - Write the name that you require on keychain in the text box given below. - Our team will contact you for approval of Text / Design. - It will take 4-5 working days to deliver this keychain. A Perfect gift for your loved ones, give them a customised printed keychain with their own image printed on this guitar shaped keychain.